We have been offering quality products for more than 50 years! The company ‘Pac-Rite Meat Products’ was established in 1954. At the time, it was located on Papineau Street and was a butcher shop. It specialized in delivering high quality meat products to its clienteles’ houses that consisted primarily of families living in the upper-class neighborhoods of Montreal. In 1976 a new partner, Florentino Sanchez, joined the company and with him, Pac-Rite Meat Products began selling its products to restaurants in the city of Montreal. Five years later, in 1981, his son Luis M. Sanchez and Samuel Peck became partners in the organization. Under this new direction, the company obtained a C-1 permit to operate under a provincial inspection. The company experienced a significant amount of growth and to meet these increasing demands, the company moved its premises onto Ontario Street. At this time sales consisted primarily of beef cuts. Then, in 1993, a major shift began. Retail sales, which mostly consisted of home deliveries, were put aside to concentrate on restaurants and independent grocery stores. With this new trend, the production of beef gradually went down. The company now focused its production on poultry, and therefore, the transformation operations of the product started to consist mainly of deboning and trimming the chicken. Since then, the company continues to grow year after year. In 2004, the company moved to its present building in Montreal-North to continue its expansion. This is where the company began to operate under the inspection of the Canadian Food Inspection Agency (CFIA). 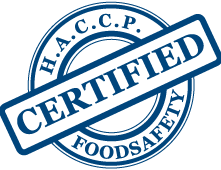 It is also at this time that the Hazard Analysis of Critical Control Points (HACCP) system was implemented to ensure safe and high quality products to its customers. In 2014, Harry Sterner and Robert Larin became partners alongside Luis M. Sanchez. Today, the company maintains its growth momentum and strives to continuously offer top-quality products to its valued customers. customers, offers safe high quality products at a fair price. Either for the food retailers, the wholesalers, the restaurants or further processors, our company although specialized in chicken products, can offer a large range of quality meat products such as beef, pork and others. Our company, although specialized in poultry, offers a large range of quality beef products. These products can satisfy the needs of food retailers, wholesalers, restaurants and further processors.